The 10 Best Wine Bars in Wyoming! In the rugged, secluded, and charming state of Wyoming, you’ll find plenty of places to enjoy a crisp glass of wine. Across the state, there are a variety of wine bars serving up options with inspiration from Italy, your favorite wines coupled with delicious tapas, and even local, Northwestern bottles. Here are the 10 best wine bars in Wyoming. The owner, a sommelier, conjured memories of an Italian visit and realized a vino-culinary dream. The result? It’s an authentic wine bar, a small, specialty grocer, and a slinger of decent tapas. The everyday, Mediterranean European aesthetic is embraced: a ritual of hanging at high-top tables, sampling wines by the glass and picking from a succession of delicious, small plates. Tapas literally translates to “tops” (as in lids), like the round dishes upon which rest scrumptious bites of vitello tonnato crostini and duck rillette. Refer to the chalkboard for daily wine specials. It’s almost gilding the lily: A Four Seasons Hotel and the incomparable ruggedness of a Teton ski resort. The Westbank Grill has an unfair advantage: the locale alone, and the elation the mountain-air engenders. Its modern-mountain menu of delicious, precise dishes paired with expertly-sourced wines, makes use of its enviable biosphere to full effect. The menu is approachable, yet refined, an articulate combination of the recognizable and the Wyoming, with mountain ingredients and modern obsessions with local and sustainable. The wine list is substantial, with 25 varieties available by the glass, many of which are organic. Though carrying a hefty price tag, the experience is definitely worthwhile. On October 7, we'll be celebrating all that is fall at our first ever Fall Harvest Festival. 🍂 Join us for beer and wine tastings, arts and crafts, pumpkin picking and more! Another mountain-resort staple, Villaggio accurately conjures the casual, Mediterranean warmth of an Italian bistro. Translated as “village,” this restaurant borrows from its location in Teton Village and invokes a welcoming vibe, as though one has happened upon a hip dining spot in rural Tuscany. Specifically, it’s an osteria, drawing from “host.” A diner is a guest in one’s home and almost always offered wine. Though open for three meals a day, the lunch and dinner are this bistro’s strengths. Not only are these delicious dishes relatively authentic, but the order of service and impressive wine list perfect a facet often overlooked by Italian-American restaurants: real Italy. Cody is a proudly-Western town, in an abashed Wyoming sense. But that doesn't mean their quaint approachability and palatable pricing means relaxed execution. As their food and service attest, Juniper is all about professionalism producing delicious results. The tasty morsels here only serve to bolster the impressive libations (other than wines, this bistro sports smooth scotches, whisky’s and IPAs). 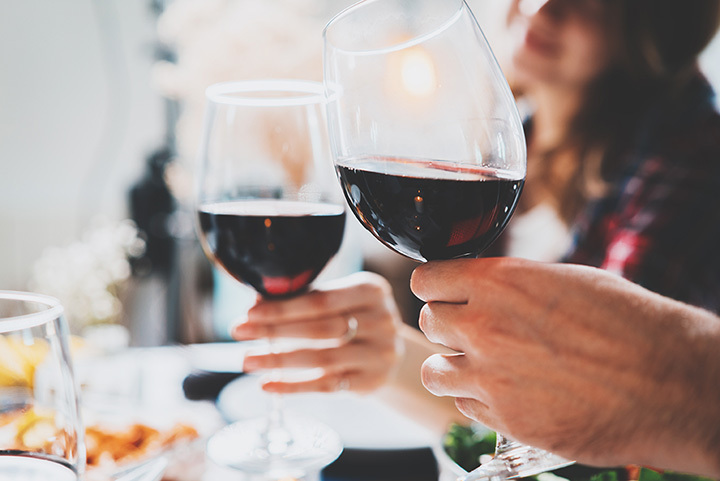 Over a dozen whites, reds and in-betweens can be enjoyed by the glass, and for a small corkage fee, any bottle on offer can be opened table-side. It has all the buzz-worthy phrases: local, fresh ingredients, expertly-selected wines, low light, and exposed brick. Inspired by northwestern Italy, bordering Switzerland and France, the menu is appropriately eclectic. The original incarnation of this restaurant, in Dubois, Wyoming, was carved-out of an aged auto garage, centered around wood-fired pizzas. The popular spot inspired a devoted following until the owners and operates retired to their bucket-list Eden, Italy. But foodies needn’t despair: Chef Paulie O’Connor reopened the restaurant in Wilson, with a renewed focus on expertly-executed Italian fare. Aside from the impressive food menu, the wine list, is a Rubik’s cube of paths for the sipper to pursue. In a town called Moose, in a state like Wyoming, a renowned, 1,500-bottle shop isn’t the first thing that comes to mind. Within the meadows afoot jagged snowcaps of Grand Teton National Park, and not far from Yellowstone, the wine shop at Dornans boasts a surprisingly-impressive wine list. The sommelier-approved (and led) program stocks classics and edgy sought-afters from France, Italy, Washington and Oregon. So ask the Level-1 wine experts something about local favorites, or maybe something from a far-off, exotic vineyard? Though tourists are likely to fill its length during holiday events and the high season, it’s undeniably a high-quality bar. And the Mint definitely reaps the advantages of being well over a hundred years-old: a structure that’s attractively-maintained but tastefully-modernized, a respected namesake, and a solid, trial-tested menu. It has a long (very long) bar, and a tasty cocktail program. While sporting a considerably shorter wine list, the quality-centric focus ensures a decent glass. It’s a good median between hipster craft cocktail-er (meaning quality wines and liquor) and honky-tonk cowboy bar (meaning unpretentious fun and Western aesthetic). Happily celebrating a successful tenth year, this meat mecca is a magnet for those seeking quality local beef, flame-grilled. And in Wyoming, where there’s meat, there’s drink, and that always means at least a good glass of red (just enough to cut the fat from a sizzling ribeye). Happy hour is great time to try out FireRock, not only for some affordable finger foods, but wines by the glass are $2 off (and they pour six ounces! Not bad.). Built upon the grounds of a Civil War-era fort, this decades-old eating spot is a testament to its frontier roots. Unabashed, hearty and unapologetically honest, the food, decor and vibe at Calvaryman is nothing if not satisfying. The supper club turned restaurant serves steaks, seafood and pub essentials that complement an impressive list of liquors and wine. Expect to leave full, happy and with more money in the wallet than expected. Since 2009, Libations has been a go-to wine shop & sampling bar in Cody. Build-your-own six packs drawn from a legion of quality microbrews bookend shelves and racks of quality reds, whites, blends, sparkling and seasonal varietals. Their high-tech sampling machines make deciding on a bottle easy, and, well, plain fun. View more Wyoming Bars and Saloons.